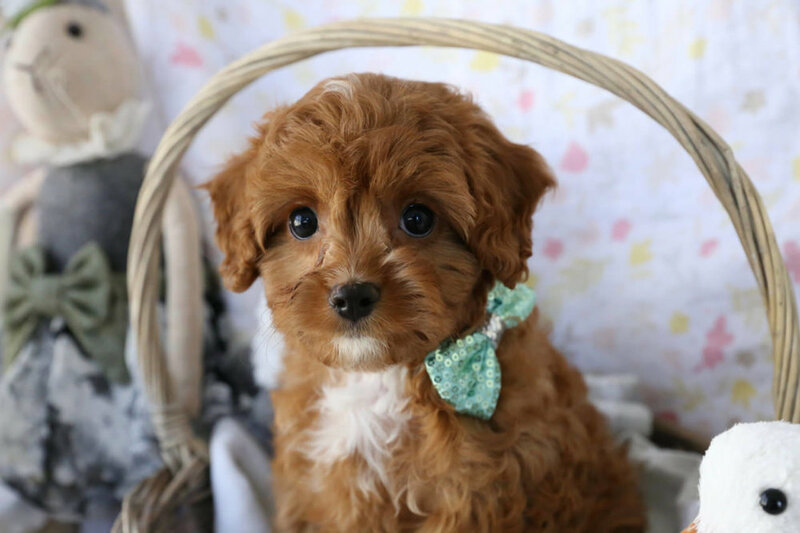 Longing for Cavachon or Cavapoo puppy to call your own? 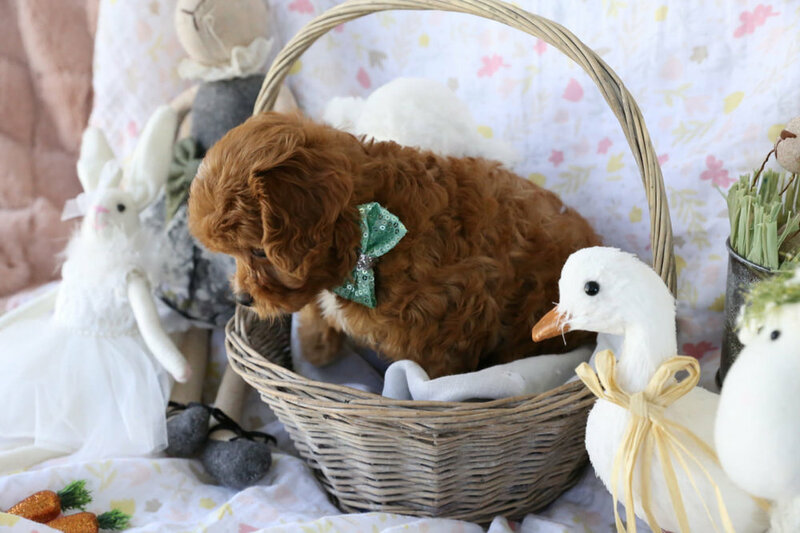 Here are photos of Foxglove Farm's latest available puppies. If you fall in puppy love-contact us. 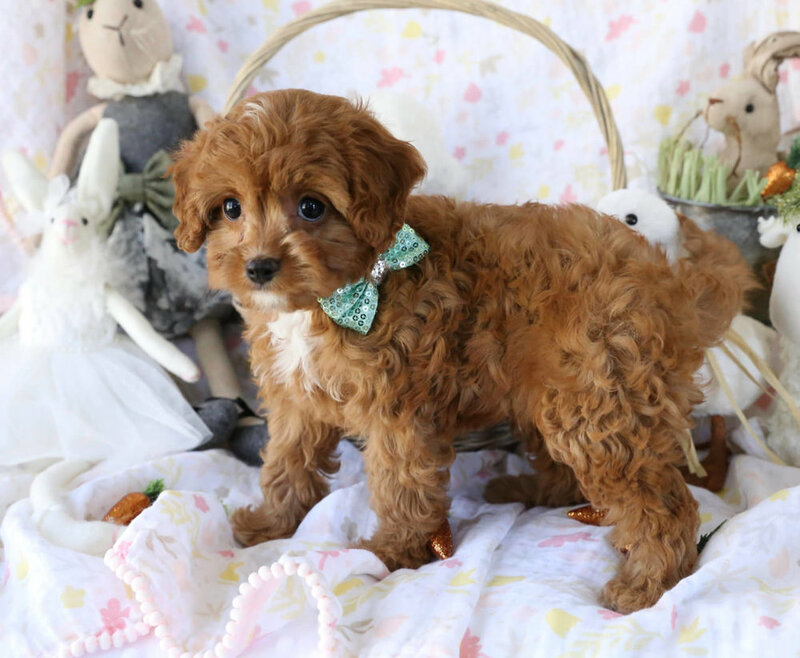 Toy Ruby & White Cavapoo Boy Puppy Oh goodness help us! This puppy is WAY TOO ADORABLE!!! So smart and just a little bit rotten too lol! He can’t help it, he knows how cute he is and just melts all of us with those big brown eyes, look at him, how can you resist? I’d say about 9 to 10 pounds grown, or a pinch under perhaps, but not to worry, “Goosie” thinks he’s a St. Bernard and meets everyone with a wagging tail and a tiny WOOF to say hello! (Right click his little duck friend for enough pictures to break the internet! ).